Is the Octopus the next Owl? Even thought I still like an occasional owl in decor, even I can admit its a bit played out. So what will unseat the ubitiquous owl? My bet is on Octopus. I give you exhibits A through D.
While I never added an owl to my house, I'm *this* close to trying to freehand an octupus on my shore bedroom dresser (yea, that one -the subject of much back and forth here and here). Ive been thinking about it for a while and the idea has been nagging me so it might be time to go for it. I can always paint over it, right? So what do you think? Are you with me on the octopus being the new owl? Or are you voting for another fury friend? More importantly should I give it a try on my dresser? Can a goldfish and a octopus co-habitat peacefully? I LOVE IT! Is octopus the new owl? My debate is is snail the now bird!  I love your blog and brownstone! Still love the owl. But could make room for an octopus! I absolutely adore photo #4 and the shower curtains looks really nice too :) Never thought about using octopus until now! Any decorating plans for this fathers day weekend? i was thinking the same thing...it's either octopus or elephant. seeing lots of elephants lately too. Love it! It would be so fun to do a baby's room with a marine theme. In the Sacramento area, Michaels (Arts & Crafts store) has storage boxes with an octopus on them. I couldn't resist! i feel like octopuses(octopi?) were trying to be a big deal just before owls, but owls pushed them out of the water, so to speak. i'd be happy to see their comeback. and that framed octopus in the fourth picture is wonderful! Something just creeps me out about using an octopus as a design element. Like I couldn't sit comfortably on that couch and I don't think I could use that shower. I never thought I had a problem with them but just thinking about sitting in a room and seeing one freaks me out. I kind of dig it. I like it better than the owl and I think it would be a really fin element at your shore house. Free handing is brave though. I'd probably decoupage or transer it some way, personally. HaHa. That should be fun, not fin. We're talking cephalopods, not fish here. I'm in. I am hanging a vintage octopus print near my desk, though, so I'm biased! I love it! But then I like most things with critters. I have parrots in my house. Hm, I'm not sure. I used to really like them, but then I did some reading up on them when my friend wanted to get an octopus and they are so freaky! But you're right, the owl has had it's day. Octopouss scare me so I hope they're not the new owl craze! Passing on the owl thing since it was done back in the 70's and I already did that, big time. The octopus for me is creepy, jmo. I'm more partial to the different shades of blue or orange for the dresser. But it's just my opinion. My mom had owls in our house in the 70's. I still have the owl quilt my grandma made me and I still like owls. Especially the real life one that was out my bedroom window every night. I collected elephant things in the 80's so that has my vote. I've been seeing a lot of octopus photos lately - not a fan of it, sorry. No sorry I don't. We don't entertain on Fathers Day so its never come up. WOW, this is so creative. So nice colors. I'm still on Team Owl (have the West Elm lamp, and I adore him). But I wanted to throw the FOX out there as our next furry trend-friend. Octopi (is that a word) creep me out a bit, but I do see their intrigue. I have to admit, I do like the octo. Although maybe it's because it's not overdone like the bird. About the dresser, I say go for it! I've thought about making some octo art for the bathroom myself. I had no idea I was so "on trend." I just added a hand-drawn octopus to my bathroom for a bit of whimsy. I really hope not. They're unattractive creatures at best. At worst they're terrifying.